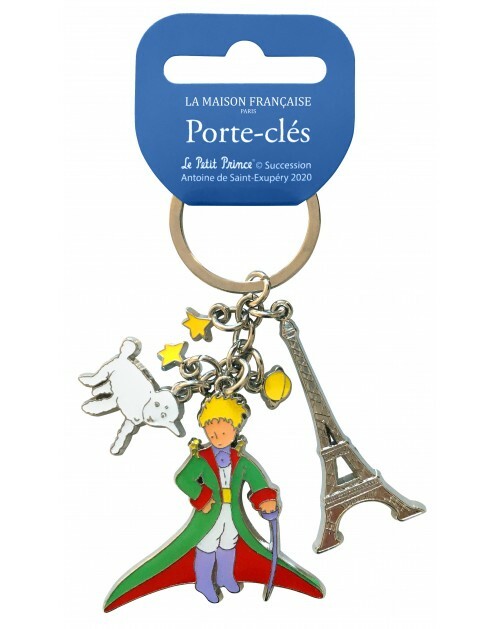 Doll to paint, cross stitch key ring and pre-printed board to decorate, this complete creative kit The Little Prince will allow children to developp their dexterity and stimulate their creativity. Find in this nice box the book La Merveilleuse Histoire du Petit Prince and the figurine of the Little Prince in his outfit. An ideal gift for the little ones. The famous Little Prince's story adapted for children of 5-7 years old ! In additition to The Little Prince’s story, you will find in « Les Belles Rencontres du Petit prince » the most beautiful Aquarelles drawn by Antoine de Saint-Exupéry. Bonus: a presentation of the different characters of the story: what do they represent ? what is their role ?